I received email from Google, advising that my previous domain is pulling up a number of 404 errors. I've noticed that these are for individual blog posts. When you change one custom domain to another, you may not see the domain re indexed, transparently. Changing a Blogger blog, from one custom domain to another, is a reasonably simple project - if you're able to plan the change. A domain change should involve simply re indexing the blog. A simple custom domain name change involves republishing the blog, under a new domain. Retaining readers, and search engine access, requires slightly more work. Renaming a custom domain - if it involves a BlogSpot rename - becomes significantly more complicated. Renaming a custom domain - and having the individual post URLs in the old domain working, after the change - will require slightly more effort, than any of the above requirements. 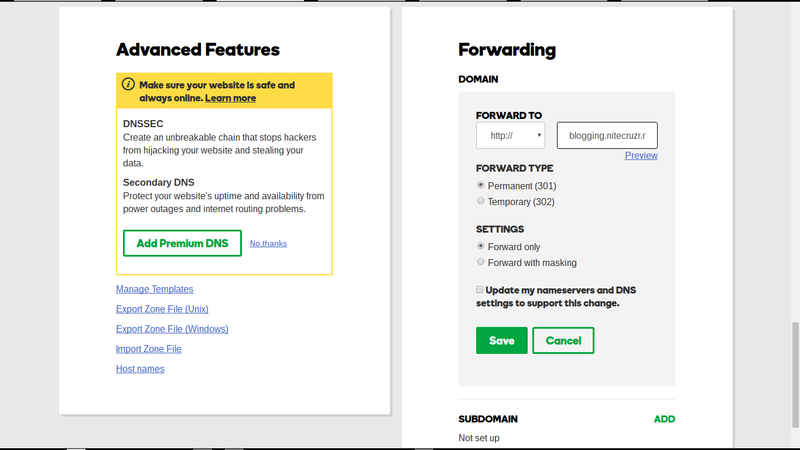 With GoDaddy, using specific settings, you may be able to forward post URLs. In one forum topic, a domain owner was able to forward a domain, using instructions provided by GoDaddy - so individual post URLs redirect properly. 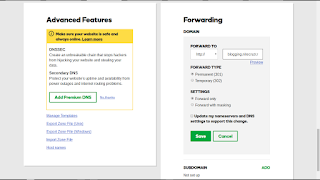 In the GoDaddy domain settings for the old (original) custom domain, activate Domain Forwarding. Set the "Forward to:" address to the new custom domain. Choose the Redirect Type as "301 Permanent". Choose the Forward Settings as "Forward only". This may not be the effect seen, by all blog owners. Not all registrars will provide this ability. This is the GoDaddy DNS wizard, as of 2016. If your domain was not registered by GoDaddy, you will have a different wizard - and most likely, ""Forward only" will be a different option. Maybe, "Forward without masking" will be a useful description. 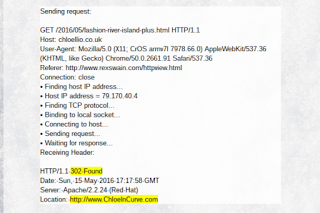 Blogger does not support redirection, from blog URL to blog URL. Blogger does not support redirection, between BlogSpot or custom domain URLs - as transparent redirection would simply encourage spam activity. Any redirection, from the old custom domain, has to be provided by the domain registrar. Most registrars provide simple DNS forwarding, from one domain to another - if you are able to pay for both domains, simultaneously. Generally, most registrars will setup forwarding, from the old domain to the new published blog URL. Not all blog owners may get the redirection, for their domain, correct. With a domain forwarded to the published URL - using most registrar provided instructions - readers who click on the URL to a specific post, using the old domain URL, will find themselves unexpectedly viewing the blog home page, under the new domain. This will cause some confusion. Search engine bots won't find a specific blog post, under the new domain. A search engine bot, indexing a specific post, using the old domain URL, will be redirected to the blog home page, under the new domain URL. This will not enhance indexing of the blog. Some search engine bots may report this as a "404 Not Found" - and blog reputation will suffer. Here's an example of the problem. 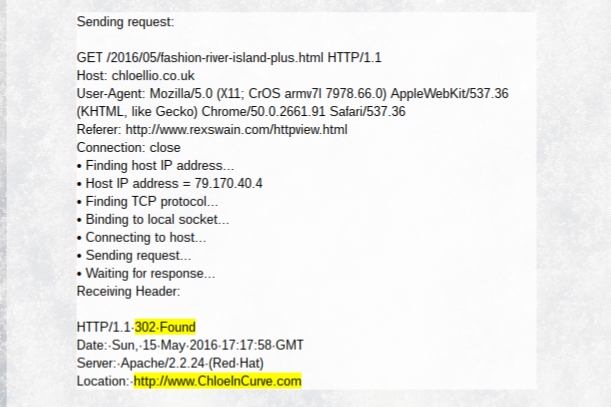 The specific post URL ("www.chloellio.co.uk/2016/05/ fashion-river-island-plus.html") redirects to the main page ("www.chloeincurve.com"). For most obvious benefit, "www.chloellio.co.uk/2016/05/fashion-river-island-plus.html" should redirect to "www.chloeincurve.com/2016/05/fashion-river-island-plus.html" - not to the blog main page "www.chloeincurve.com". Let's look at an HTTP trace. This shows an individual post in the blog, with forwarding provided by GoDaddy. Even if the domain, redirected to the new domain home page, does not generate a "404", blog reputation will not benefit. An individual post, will not be indexed immediately, when hidden behind the home page. Not all registrars will help you change domain URLs - and retain post URLs. If you are going to change custom domain names - and transparently redirect readers and search engines, you will need the extra effort, as described above. Alternately, simply forward the domain, to the published Blogger URL (generally, the "www" domain host) - then concentrate on getting the blog re indexed, under the new URL. Once the blog is completely indexed under the new domain URL, people won't bookmark the old domain - and the new domain URL will be the reference, for the blog. That's what you want, at the end of the day. Your readers will see the home page of the blog, when clicking on individual posts, indexed under the old domain URL. Then add a Featured Post, mentioning the domain change - and maybe setup one or both blog searches, for reader convenience. It's possible to redirect a #Blogger blog, as published under a custom domain, to a new domain. It's not always possible to transparently redirect an individual post URL, to the new domain, however. If you change your custom domain, you may have to expect some problems from readers and search engines.